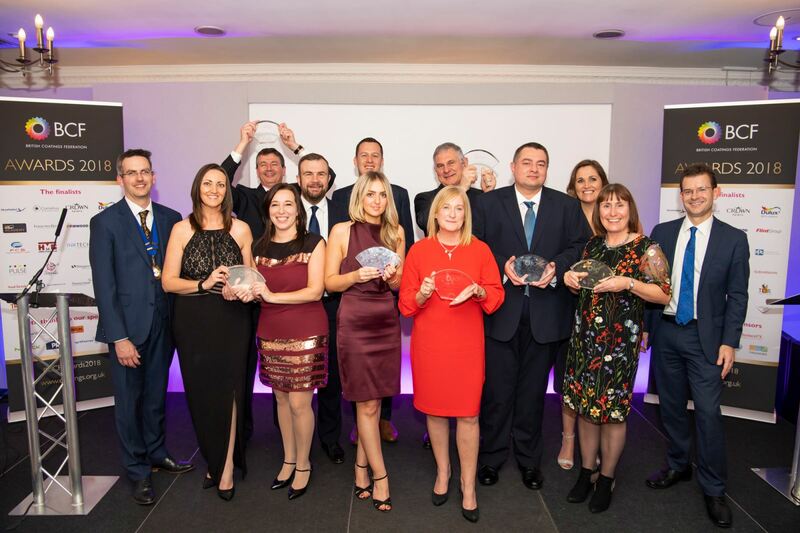 The winners of the ninth British Coatings Federation (BCF) Awards 2018 were announced on 15 November at the annual BCF Awards in Cheshire, across seven categories showcasing brilliance in the coatings industry in front of a sold-out crowd. Two companies were declared winners for the Corporate Social Responsibility Award – to PPG for the second year, and for the first time to Seagulls Re-use Paints. With a spotlight on sustainability in the coatings industry, the Sustainable Innovation Award was presented to AkzoNobel/Dulux for the second year. Finally, the BCF’s long standing Coatings Care Awards were presented to two BCF member companies participating in the programme - the Coatings Care Overall Best Performer Award went to Pulse Printing Products in Wick, and the Coatings Care Progress Award to Firwood Pains in Bolton.